Styled with ion pant and kerry longsleeve . 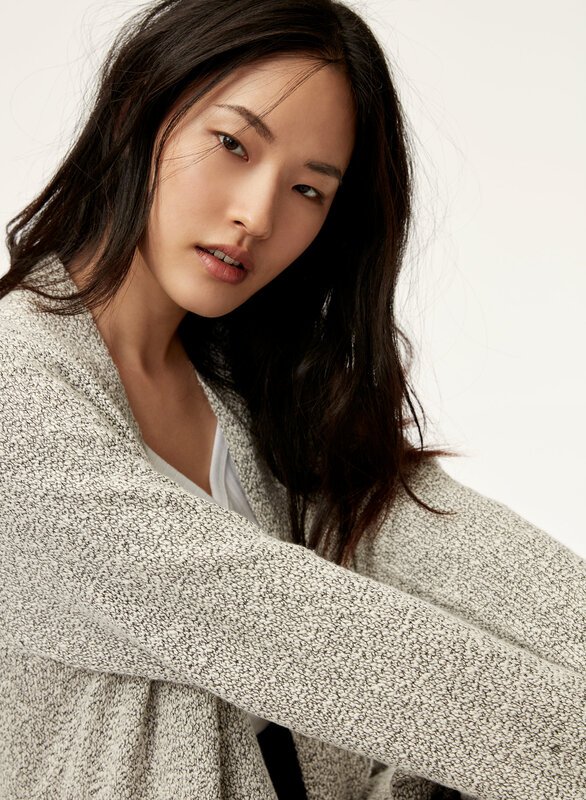 This cardigan is knit with a cotton-blend yarn that's incredibly soft. The slightly slouchy fit is casual, yet pulled together. I love this sweater. It is long and soft and fits true to size. A great price as well! I have this sweater in grey and green. I recently bought this in the brownish/grey, however had to return because there was a small hole. These sweaters are very cozy and flattering. Definitely size down, I wear large or medium sweaters everywhere else but in these I am a small or extra small. i can’t even wear it because it is covered in balls that stick to everything. not at all impressed with the product. Purchased 2 of these and they are beautifully soft and such a gorgeous style...BUT they shed a LOT and the sleeves stretched out after just a few hours. After one wash (hand washing!) they're now all pilled and worn looking. I expected better quality for the price. This is one of my favourite cardigans! I have bought three of these and given one as a gift. The yarn is extremely soft and so very comfortable. 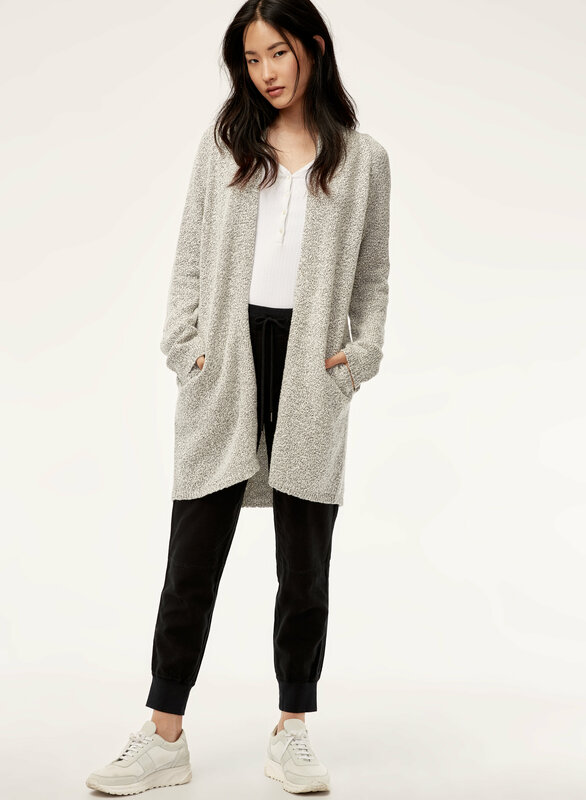 I like the slim fit of long cardigans so that there’s no bulk and therefore very flattering. Thanks for offering two great green colour ways here (I am tired of all the black, red, and white out there). Love this sweater for how comfy and cozy it is. 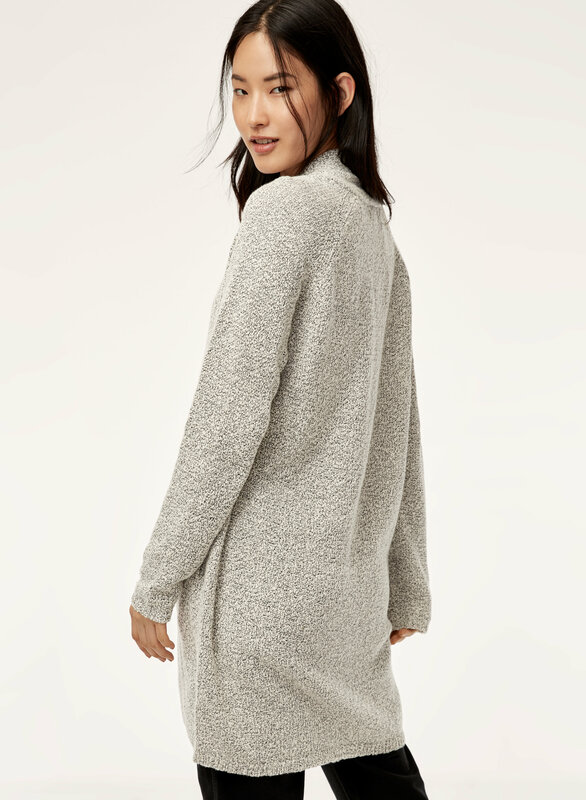 Nice as a sweater for going out but also for lounging around the house. Only reason I didn’t give it 5 stars is because initially it is SO linty. Got fluff everywhere on everything. But after 1-2 washes its way better. 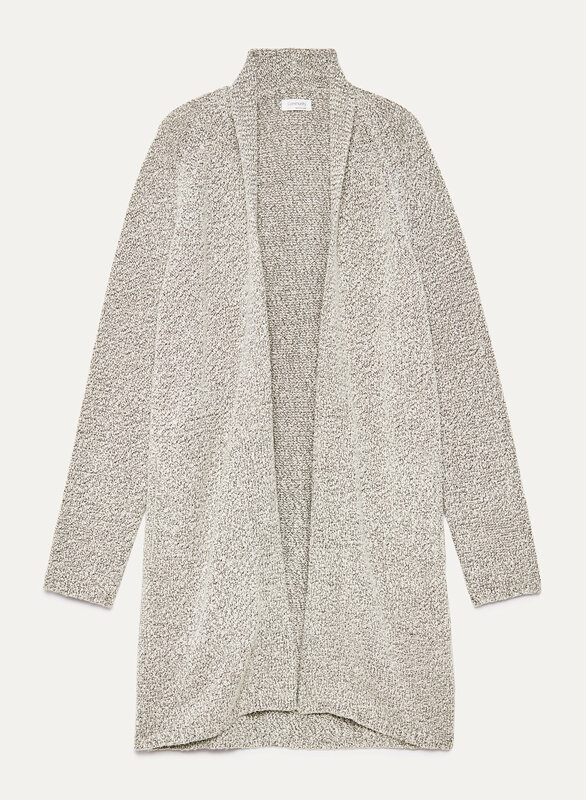 This is a super comfy cardigan that you can dress down or up which makes it very versatile. I’ve been eyeing this sweater for awhile and I’m glad I purchased it. I usually order XL and I ordered this on L, it’s a little bit large but that’s how I like it.... good quality sweater!!! I love this sweater, and it's definitely one of my staple pieces this winter. Super comfy and cozy, and very easy to dress up or down. Fits slightly larger, so I would suggest sizing down if you want it to look more fitted. It does pill quite easily, so keep that in mind and only wash it on the gentle cycle and air dry. absolutley love it! 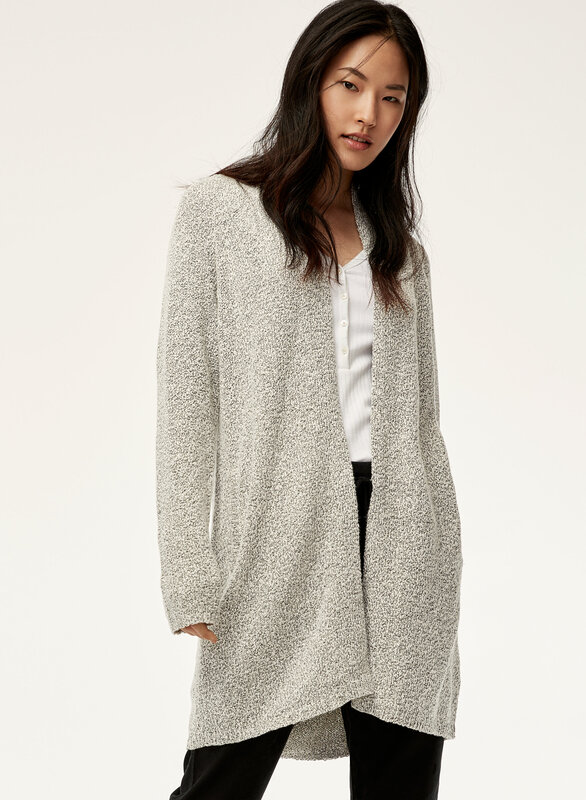 Super soft, very comfortable, the perfect everyday cardigan! Warm and cozy, this is the perfect sweater for layering for school or office wear. Exactly what I hoped for. I could have bought the small and been very happy with it too. The medium is just a little too big but I still like it. This sweater is extremely comfortable and falls nicely. The fit is bigger than expected. I would recommend going down two sizes than what you think it should be. I love this sweater so much bought it in 2 colors. Get compliments on it all the time. It is classic, great quality and cozy. Washed in cold water, gentle cycle and air dry and came out perfect. Just be gentle with it and it’s a piece you’ll have for years. I really like the color and softness of this sweater. Only complaint is that it kind of sheds. I like the comfort of this sweater but I find that it snags and pills very easily. I know it’s the type of material but I haven’t even washed it yet.